The JAN FELIX BAND needs you! Vote for us! We really need your support now. 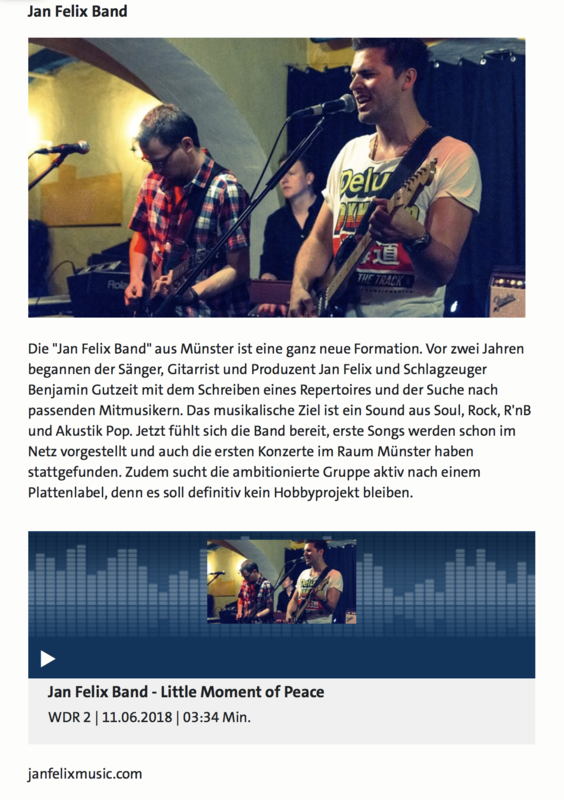 German radio station WDR 2 has played our song „Little moment of peace“ for the very first time on Tuesday. This was a huge success for us. Now let’s take it to the next level and vote for us. Click on the link below and help us to keep pushing! Thank you. You all are a part of our music because our music is for you. ← Music is my band!